Is it illegal to make moonshine? In most cases it is, but that hasn’t dampened (or diluted) the spirits of hooch makers across the country. In the last three years, law-enforcement agencies in Virginia have cracked down on moonshine distribution and production in the state, a multi-million dollar racket, reports ABC News. With millions of dollars at stake in this traditional industry, making moonshine can potentially make you a lot of money. But there are a few nagging state and federal laws that you have to deal with first. One reason that making your own hooch is illegal is that the federal government generally charges liquor producers $2.14 per 750 mL bottle of 80-proof liquor. Per gallon of 50% alcohol content liquor, the tax rounds out to about $13.50. This doesn’t include the state excise tax you would owe, which can be as high as Alaska’s $12.80 per gallon. By making and selling your own moonshine, you may be stealing up to $25 per gallon from taxpayers. 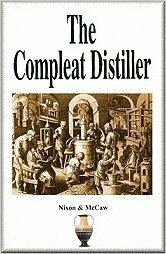 The federal laws prohibiting distillation are based on tax fraud, so it is technically not illegal to distill moonshine so long as you have filed for the proper permits and paid your taxes. If you’re avoiding Johnny Law like most moonshiners, 26 U.S.C. § 5602 provides that you may face up to five years in federal prison and up to $10,000 in fines for distilling. Many states will grant licenses to “craft distillers” who wish to make moonshine for their own private consumption. However, even in states like Oregon, you will not be granted the required licenses to legally operate a still without first obtaining permits and licenses from the federal government. These licenses also come attached to special federal occupational taxes, including a mandatory $500 per year for any distiller making less than $500,000 that year. So if you only plan on drinking your moonshine profits, this boozy hobby starts to look pretty expensive. Weather you live in Alabama, Alaska, Arizona, Arkansas, California, Colorado, Connecticut, Delaware, Florida, Georgia, Hawaii, Idaho, Illinois, Indiana, Iowa, Kansas, Kentucky,, Louisiana, Maine, Maryland, Massachusetts, Michigan, Minnesota, Mississippi, Missouri, Montana, Nebraska, Nevada, New Hampshire, New Jersey, New Mexico, New York ,North Carolina, North Dakota, Ohio, Oklahoma, Oregon, Pennsylvania, South Carolina, South Dakota, Tennessee, Texas, Utah, Vermont, Virginia, Washington, West Virginia, Wisconsin or Wyoming it’s best to check your local state laws as they can all vary regarding licenses required for the production of Moonshine.